A custom-ft slipcover in charcoal cotton-poly canvas for my Kalamazoo customer, Andrea. It’s just what her Pottery Barn chair needed to look new again. 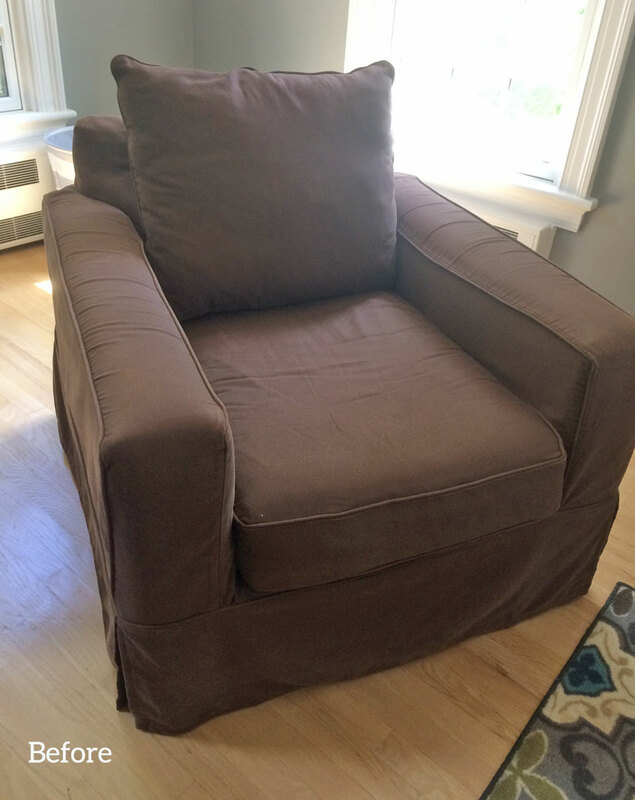 Farewell old brown slipcover! Fabric for this project: 12 oz. cotton-poly canvas, color charcoal. Look closely and you will see a subtle two-tone color effect. Love that! This durable canvas is made with 11% polyester, which softens the wrinkle and adds strength. It takes on a wonderful relaxed French Laundered look after it’s washed. It has a more upscale, substantial look than basic cotton canvas. 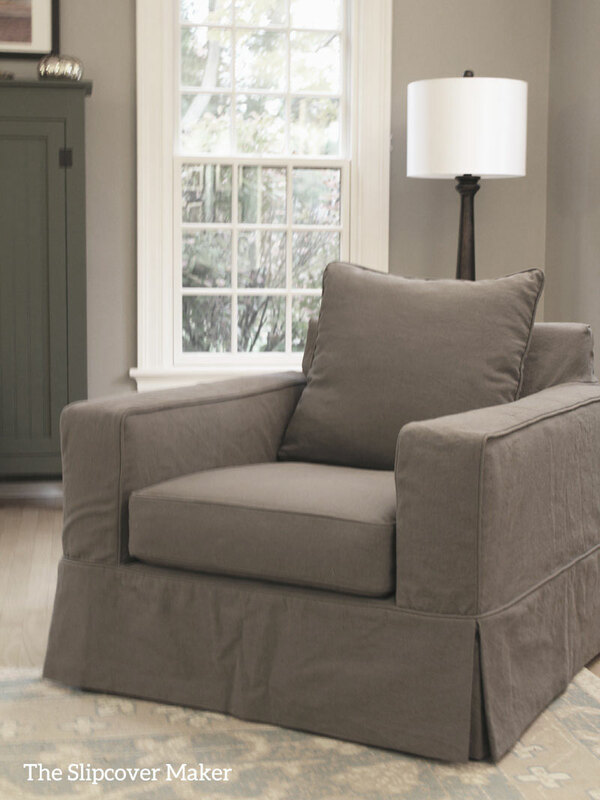 Great for family-friendly, washable slipcovers that get moderate to heavy traffic. 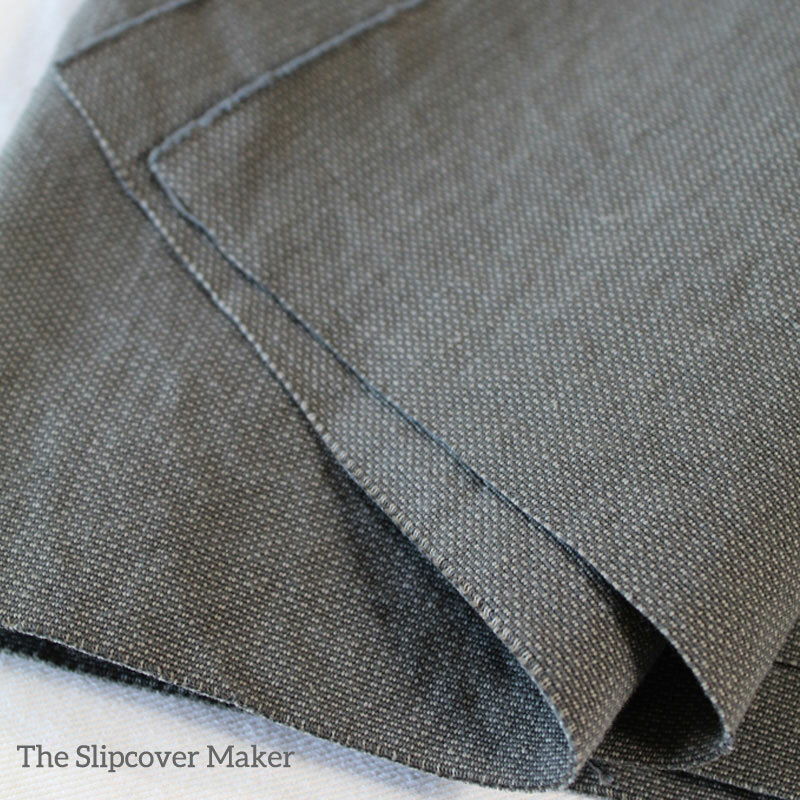 This entry was posted in armchair slipcovers, canvas slipcovers, slipcover fabrics and tagged custom slipcovers, grey slipcovers on February 22, 2018 by slipcovermaker.